Prequel to the Conjuring spinoff. To some, James Wan is the saviour of the mainstream horror movie. To others he's a hack who relies on cheap tactics like jump scares. Regular readers will know where this writer stands. Regardless of how you view Wan's talents as a filmmaker, you have to admire him as a mogul. Following a couple of failed attempts to repeat the success of his 2004 breakout hit Saw, Wan bounced back with 2010's Insidious, a surprise smash hit that has so far spawned two sequels, with a third due next year. Along with his Conjuring franchise and its growing stable of spinoffs, Wan has single-handedly dominated modern mainstream horror cinema. Depending on where your opinion falls on his contributions to the genre, he's either the 21st century's Val Lewton or Charles Band. The latest addition to the ever-expanding 'Waniverse' is Annabelle: Creation, which serves as not only a Conjuring spinoff, but a prequel to the 2014 Conjuring spinoff Annabelle. It also lays down some foundations for The Nun, which along with The Crooked Man is one of two Conjuring spinoffs set to hit us in the near future. Confused yet? 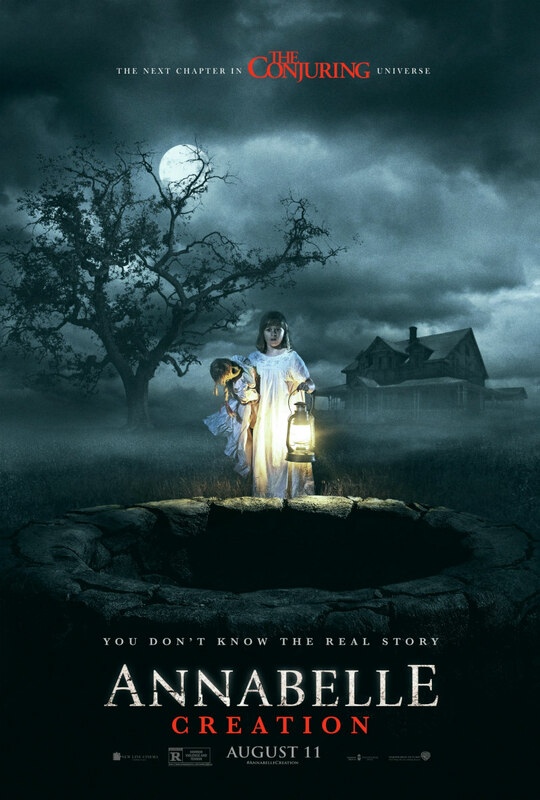 Annabelle: Creation opens in the rural America of the 1940s, introducing us to the Ma and Pa Kent inspired Samuel (Anthony LaPaglia) and Esther Mullins (Miranda Otto), who lose their only child, Annabelle (Samara Lee), in a tragic road accident. A decade later and we're in the rock n roll era. The Mullins have agreed to take into their home an improbably glamorous nun (Stephanie Sigman) and the young members of her girls' orphanage. It's now revealed that Esther was involved in a mysterious accident herself soon after her daughter's death, and like the witch in Suspiria (a movie this one calls back to on more than one occasion), she confines herself to a bed, her scarred visage concealed behind a wispy net curtain, leading to much debate from the girls as to the extent of her physical deformity. Thanks to Wan's enlisting of Lights Out director David F Sandberg, Annabelle: Creation is streets ahead of anything else in the Waniverse in terms of craft. The Swedish Sandberg brings a very European touch to the franchise, drawing on the likes of Dario Argento and Georges Franju in both imagery and atmosphere. He commendably steers clear of the fake jump scares and cattleprod sound effects that have made Wan's films the targets of so much rage from horror traditionalists. There are moments in Sandberg's film where the absence of a jump scare becomes a shock in itself, as he resists many opportunities to throw in a cheap jolt. Wan's movies are known for their overbearing soundtracks, but Annabelle: Creation is so quiet my screening was accompanied as much by the rumblings of Dunkirk coming through the floor of the IMAX screen upstairs as by Benjamin Wallfisch's relatively subtle score. As with Lights Out, Sandberg displays a talent for generating tension through light and shadow - a scene involving the strobing headlights of a car that refuses to start is one of the most inventive sequences I've seen in a horror movie, mainstream or not, in recent years. He also knows how to get the best out of the empty edges of a widescreen frame, with a couple of spine-tingling set-ups John Carpenter would be proud of. Watch out for a clever nod to Jaws too! If Sandberg can land himself a script worthy of his talents as a director, he could deliver something really special in the horror genre. 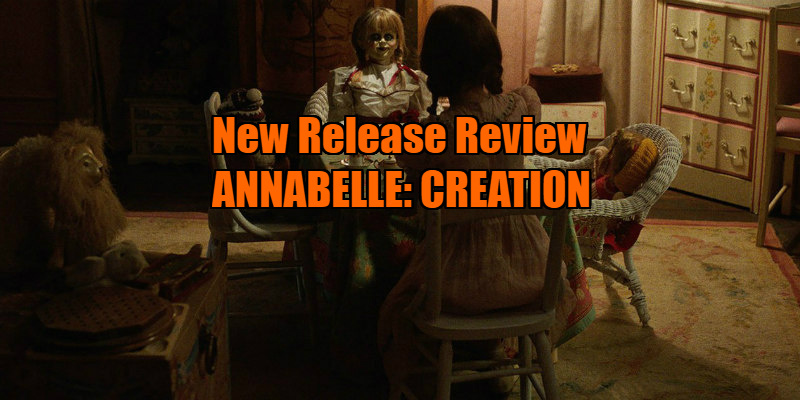 With Annabelle: Creation it's very much a case of applying lipstick to a sow, as the script is a mess, rambling needlessly and getting bogged down in setting up future installments of the Waniverse. The nun ghost is shoehorned in here, popping up at random intervals and serving only to remind us that she'll be getting her own movie next year, and as with the previous film, the eponymous doll is largely ineffectual, remaining inanimate throughout. My big issue with Annabelle: Creation is the age of its cast. Making your protagonist a 10-year-old girl with a debilitating condition brings a set of problems that greatly mar any enjoyment you might otherwise take from a well crafted horror movie like this. For a start, it kills much of the tension, as you know a mainstream horror movie isn't going to kill any young kids, and certainly not one in a wheelchair. This means we're essentially left to watch a child terrorised for two hours, and that's simply not much fun. The addition of a disability is a cheap trick. Horror cinema has given us more positive representations of the disabled than any other genre, and at first it seems Janice is set to play a heroic role like that of Corey Haim's paraplegic protagonist in Silver Bullet. Sadly, the film wastes an opportunity to provide a much needed role model, with Janice nothing more than an agency-free punching bag for the film's various ghouls and ghosts. Maybe I'm over sensitive when it comes to such issues. I wish I wasn't, as mainstream horror movies as well made as Annabelle: Creation don't come along too often, and if its characters were 10 years older I'd be raving about this movie. If you can stomach watching young children in physical peril, sometimes disabled children in peril, then you're in for a real treat. The rest of us will have to wait and see what Sandberg gives us next. Annabelle: Creation is in Uk/ROI cinemas August 11th.